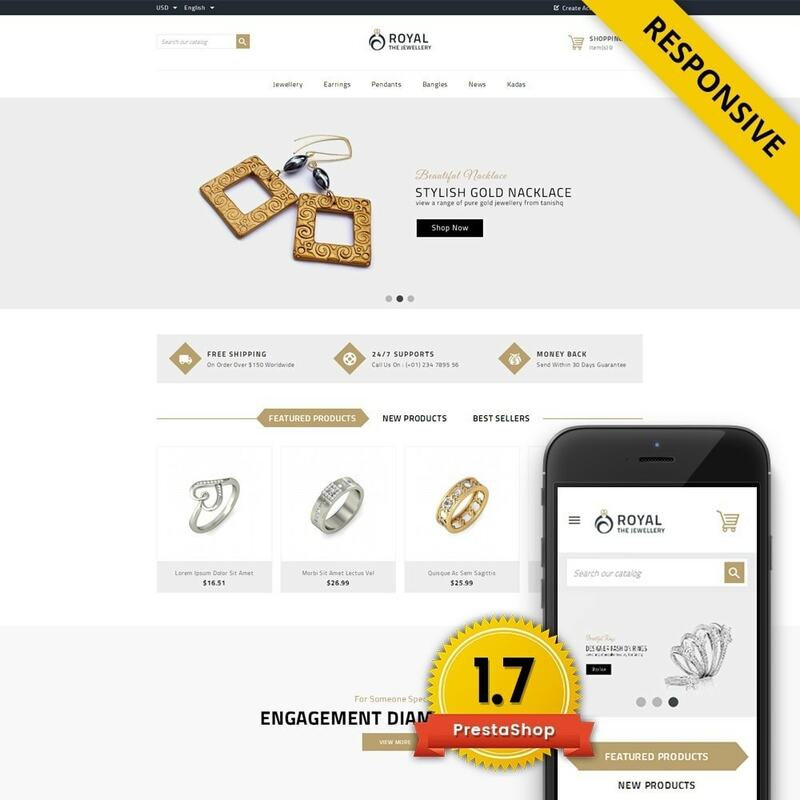 Royal - Jewellery Store Theme is designed for selling Jewellery, Apparels, Gifts, Toys, Accessories, Tools, Fashion and multipurpose stores. Its well suitable for Jewellery store, and Gifts store. Theme is looking nice with colors combination. There is only need to follow step by step theme installation documentation , Provided into theme package. No need to do any extra work. The theme can be easily installed from your Back office with import / export tool or directly by sending files via FTP. Installation Document is included with theme package, Still if you feel difficulty, Our team is ready to support you at any time, We will respond you within a few hours or as soon as possible.